To date, corn has been the raw material of choice for ethanol producers in the U.S. In the Midwest, there are millions of acres planted in corn already. It's plentiful. Farmers already understand the corn growth cycle and they own the machines to plant, cultivate and harvest the crop. With ethanol plants located in the heart of the corn belt, farmers are saving on shipping charges that would otherwise add cost to their corn in the export market. But corn may not be the ideal raw material for ethanol production. At a corn ethanol plant, the grain is trucked in from farmers or elevators, ground up, mixed with water and enzymes and heated. The sugars in corn are locked up in the kernels in the form of starch. So expensive chemical enzymes are added to the corn mash to release the sugar. In a fermentation tank, yeast gradually turns the sugars into alcohol that is separated from the water by distillation. The process requires a source of heat  usually natural gas or coal. So, ethanol plants produce carbon dioxide. In addition, growing corn requires fossil fuels to power farm machinery, and nitrogen fertilizers are made from natural gas. Some researchers have tried to take all of these inputs into account and have suggested that it may take almost as much energy to distill ethanol from corn as the ethanol is capable of producing when it's burned. Some ethanol companies have tried to reduce the amount of fossil fuels they need for the process. In Mead, NE, in 2007, one company developed a "closed-loop" system that combined an ethanol plant and cattle feedlot. Methane gas from the cattle manure was used as a heat source in the ethanol plant and the protein byproduct of the ethanol plant was used as a feed source for the cattle. The company, known as E3 BioFuels, got a lot of press attention when it opened, but construction problems and the economic slowdown doomed the enterprise. In 2009, the $80 million project sat idle in bankruptcy. There are other renewable sources that could be used to produce fuel alcohol. There are now more and more research and demonstration projects aimed at finding the best biofuel feedsource for the future. Sugarcane is a huge source of ethanol for tropical countries like Brazil and the Philippines. The plant has a high sugar content that is easily released and fermented. Also, the parts of the cane stalk left over as waste after fermentation can be burned to power the distillery, lowering fossil fuel use. When it's burned by vehicles, sugarcane ethanol produces roughly half of the greenhouse gases that petroleum produces. The downside is that the plant grows only in tropical climates. In addition, cane, like corn, is normally used as a food for either humans or animals. Using it for ethanol production fuels the food vs. fuel debate. Cellulosic biomass is the scientific name for a whole range of plant fibers that could be used to produce fuel alcohol. 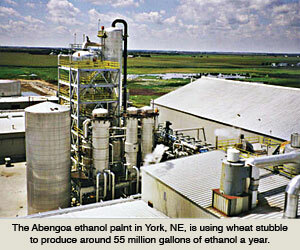 In York, Nebraska, Abengoa Bioenergy opened a research ethanol plant in 2007 that converts wheat straw into alcohol. The straw is the residue of stalks left over after the wheat is harvested. Cellulose from a variety of different plants and substances can be broken down and fermented into ethanol, and the federal government is awarding research grants to several companies. Many different sources of cellulose are being used in the experiments  corn stalks, leaves, cobs and husks; forestry waste like wood chips, bark and sawdust; even paper pulp. All of these sources of cellulose have the potential of producing ethanol that may produce 90 percent less greenhouse gasses through its production and use. Switchgrass is another source of cellulosic ethanol that has generated a lot of research interest. The fast-growing, perennial prairie grass can stand up to seven feet tall, requires little water and can be grown on marginal land. In the U.S. in 2009, there were around 35 million acres of marginal land that farmers are paid not to plant under the USDA's Conservation Reserve Program. In addition, the switchgrass root system is even more extensive than its leaves, and the roots can store enough carbon to offset 94 percent of the greenhouse gases emitted to grow the plant and emitted when the ethanol is burned in vehicles. Like sugarcane, the parts of the switchgrass that are left over after distilling  known as the lignin of the plant  can be burned to power the distillation process itself. Algae are the latest ethanol feed source under investigation. Algae are single-celled organisms  often called pond scum  that can grow in wastewater, even saltwater. The plants need little more than water, sunlight and carbon dioxide to flourish. Some species of algae make starch that can be processed into ethanol; others produce tiny droplets of oil that can be brewed into biodiesel or even jet fuel. Under the right conditions, algae can double in mass within hours. As of 2009, the research was in the early stages, but several projects siphoned carbon dioxide from the smokestack emissions of conventional power plants to grow the algae. Right now, an acre of corn can produce around 300 gallons of ethanol a year. 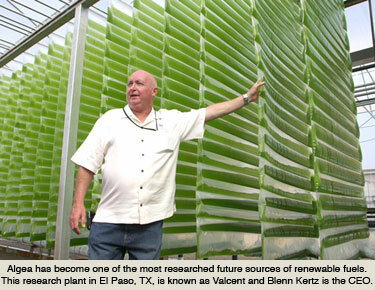 Theoretically, an acre of algae could churn out more than 5,000 gallons of biofuel a year. But there are no commercial scale plants in operation, yet. The administrator of Nebraska's Ethanol Board, Todd Sneller (left), suggests that corn has advantages in the short term, but that the state and the industry needs to keep looking forward. "Corn is what we know best. Corn is what we do very well in terms of productivity," he says. "Nebraska [also] has one of the largest switchgrass demonstration programs in North America today. It's a wonderful research program and a huge opportunity in the future to use switchgrass, in all likelihood, as a source of ethanol." UNL agronomy professor Don Lee (right) sees a time when corn and alternative sources of ethanol co-exist. "I think there's definitely the potential for cellulose-based ethanol to be a player," he says. "We have lots of land in Nebraska that would be better in a perennial crop system, like switchgrass, that could be used in this kind of fermentation." One thing is certain  there will come a day when fossil fuel sources like oil and natural gas will run out. Renewable sources of fuel will become critical.  Written by Bill Ganzel, the Ganzel Group. First published in 2009.  A partial bibliography of sources is here.